A Walk With Aud: Aud- Venture | My AirAsia Free Seat! Aud- Venture | My AirAsia Free Seat! 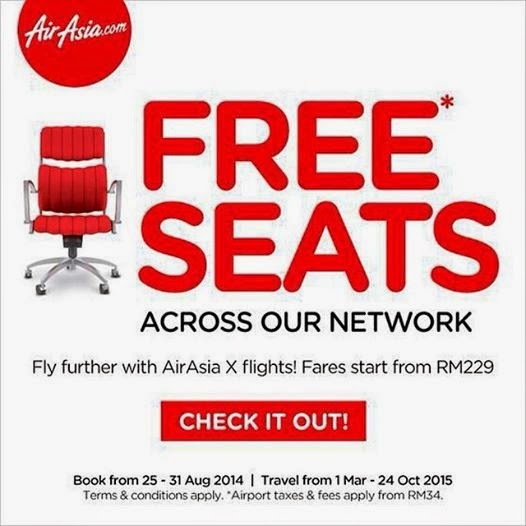 AirAsia Free Seats is back again! Have you imagine what would you do if you have 10 free AirAsia seats? If I have 10 AirAsia Free Seats, I would go to Chiang Mai and I'd bring along my 2 families. Family No.1: my dearest Mummy and brothers - Adrian, Ashley and Aaron. Family No.2: my beloved hubby-to-be, his sister Shavin, her husband, Roy, and their baby boy who will be joining their family in November. And of course my lovely mother-in-law. My fiancé and I are getting married in 3 weeks' time. To us, marriage is not just about the matrimony of two persons, but a union of two families. Two imperfect individuals living together is not easy. It requires love, understanding, and a lot of patience. The getting together of two families is even more testing. In my case, it requires 10 times the effort. If I win this contest, it will be a very good reason for me to invite everyone to a getaway (get to know each other) trip. Why Chiang Mai? I am from Malaysia and my fiancé is from Singapore. Other than home, the next ASEAN country that we feel most at ease in is Thailand, very much due to the similarities in our culture and food preferences. Chiang Mai, popularly known as the city with a heart, is our preferred destination in Thailand. Chiang Mai is also a city of many facades. It is laid back yet modern, dynamic and creative. But what attracts us most is the friendly people and it's down-to-earth charm. A perfect place for a family get together. This will be the perfect holiday to bring us into a new chapter of our lives. You can have your perfect holiday with your love ones too! Grab your free seats today!